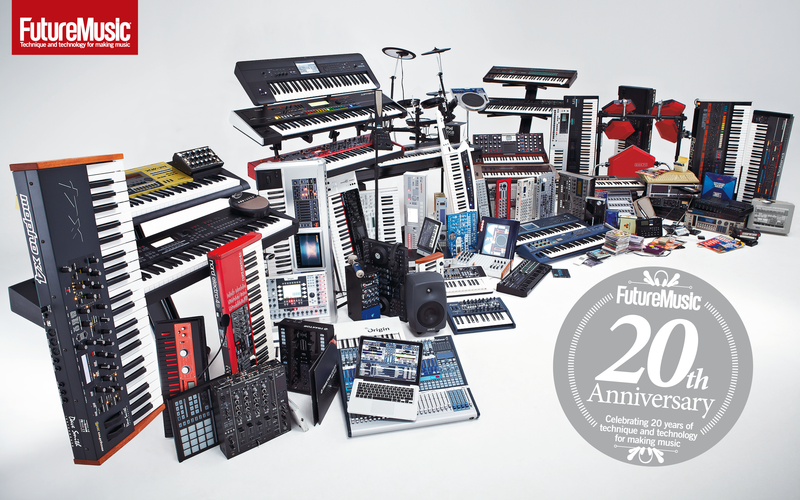 Future Music 20th Anniversary: Name the gear: Win a Dave Smith Mopho X4! Enter FM's 20th Anniversary Covershoot Compo! 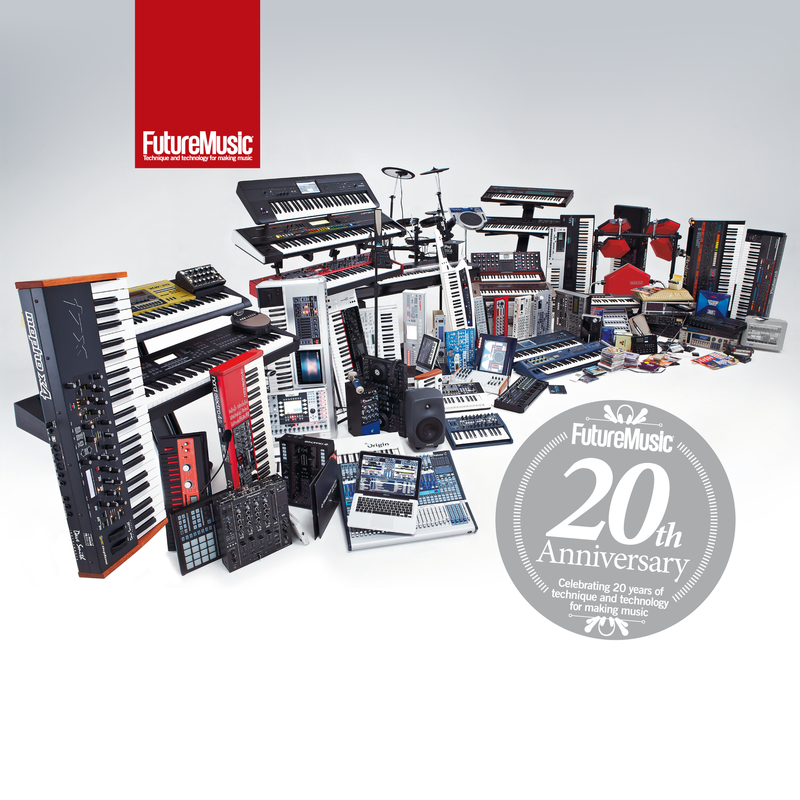 The 20th Anniversary issue of Future Music goes on sale 22nd November and has a special gatefold cover featuring 20 years of gear. See the pic below. Awesome, yes? 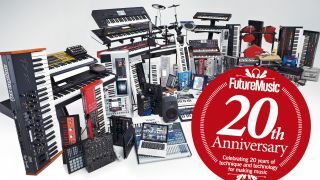 All you've got to do to win the DSI synth is to name ALL the gear on the cover and whoever gets the closest to spotting and correctly naming the lot, wins the synth! Is that cover pic not detailed enough for you? Download a full-size jpg of the shot HERE (it's the perfect size for your retina MacBook Pro's desktop, incidentally) or go for a retina iPad-friendly version HERE, and get your gear head on! The Dave Smith Instrument's Mopho X4 synth is the latest in DSI's line-up of all-analogue synths and once again exceeds our expectations for sound, quality and affordability. It's the best all-analogue synth you can get for under a grand. Check out the full review inside the mag. Click HERE to get Future Music in a physical edition with DVD, or our iPad edition with video built-in. So. Want to win our DSI Mopho X4 coverstar? Click our compo page here and go for it! We'll be announcing the winner in December. Good luck. Closing date is the 21st November - the magazine's on-sale date - so be quick!